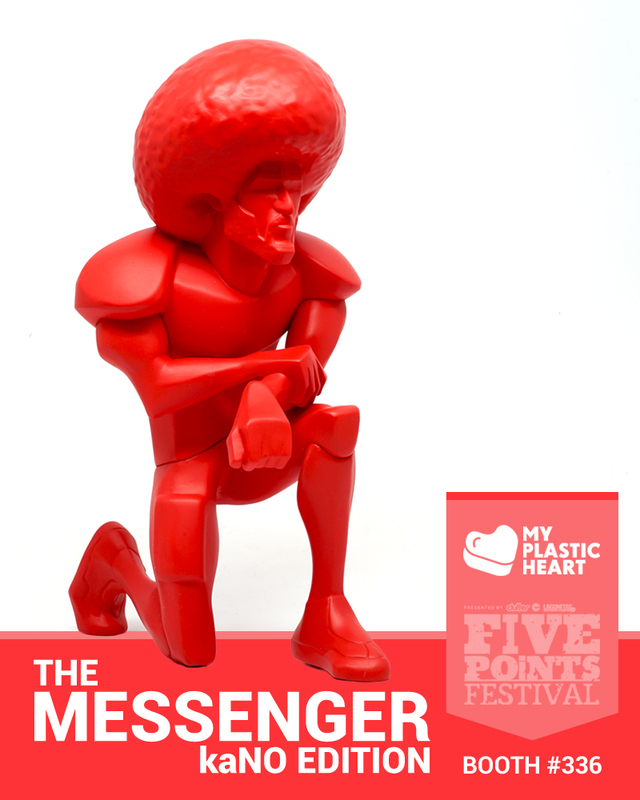 Let’s kick off our Five Points Fest coverage with the early release of kaNO’s exclusive Messenger figure. Designed by @kanokid and produced by @munkykingtoys , this colorway will look supreme in your red collection! kaNO will be signing at our booth on SAT June 2nd 1-2 pm.